BURLINGTON, N.C. (WTVD) -- The hunt is on for a bank robbery suspect considered armed and dangerous. Police said 34-year-old Stephen Hicks, of Siler City, robbed a Suntrust Bank in the 2200 block of Maple Avenue in Burlington just after 2 p.m. Monday. 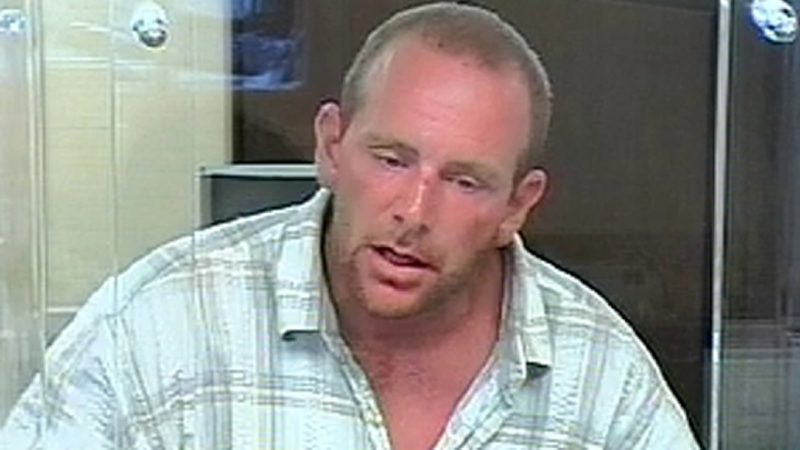 A bank employee received minor injuries after being assaulted by Hicks, police said. Police said Hicks made his getaway in an Audi with tags reported stolen out of Raleigh. The registration on the car is 123937. He was last seen traveling east on N.C. Highway 54 in Graham. At the time of the incident, Hicks was wearing a plaid shirt, light-colored shorts and white Nike shoes. He has a scar on the bridge of his nose. Anyone with information on Hicks' whereabouts is asked to call Burlington/Alamance Crimestoppers at (336) 229-7100.